I received DermOrganic’s Intensive Hair Repair Masque and Shine Spray complimentary in order to facilitate my review. All content and opinions are entirely my own. This post may contain affiliate links. See our Disclosure Statement for more information. Organic products are becoming more and more popular these days. Women (and men) are more aware of the negative effects that chemicals can have, and are looking for healthier alternatives that are equally as effective. DermOrganic has a line of hair care products that contain organic ingredients that I have found to be highly effective! I am very particular about the products I will use in my hair but find that organic and natural products don’t always give me the best results. This has not been the case with DermOrganic’s Intensive Hair Repair Masque! I love it! 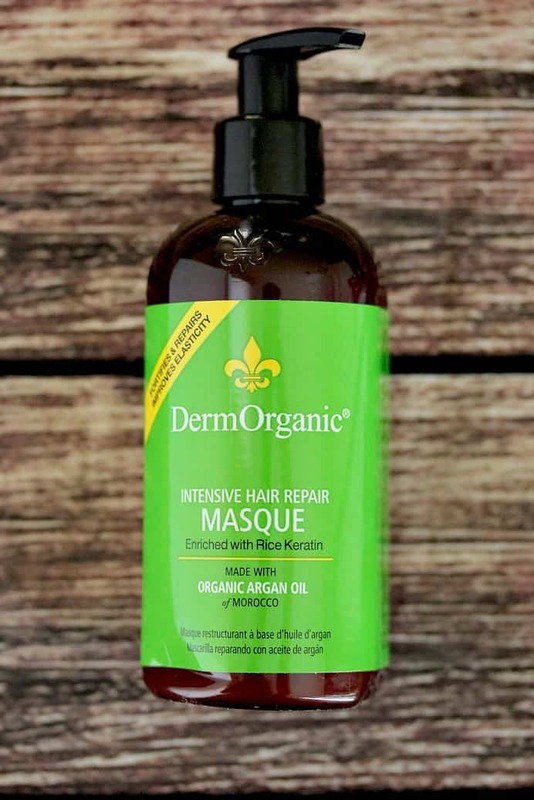 The Intensive Hair Repair Masque is made with 70% organic ingredients and does not contain parabens, gluten, sulfates, and a bunch of other harmful ingredients! It is a thick cream that smells really good! The recommendations are to use this product at least twice a week, which is what I have been doing. My hair looks so much better on the days I use this masque! It’s much smoother and shinier! The best part – DermOrganic’s entire hair care line is affordable! An 8.5 ounce bottle of the Intensive Hair Repair Masque is approximately $10 on Amazon! 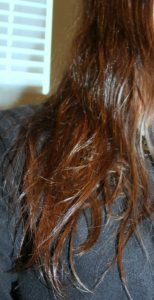 I usually use just a teeny tiny bit of coconut oil to smooth my hair and add shine after I’m done drying it. However, sometimes I use a bit too much and it’s not the best option in the summer. I decided to give the DermOrganic Shine Spray a try. While this product is not listed as organic, it is free of parabens, gluten, sulfates and many other harmful ingredients. It has a fruity scent that I really love! I used it on a day when I just let my hair dry naturally. My hair is fine and definitely needs something to smooth it down and add shine. You can see in the before and after pictures that my hair is definitely shinier! I had even better results when I used it after a proper blow drying. The Shine Spray is also around $10 on Amazon! Because of how effective these two products are, I plan to try more from this brand as soon as possible! 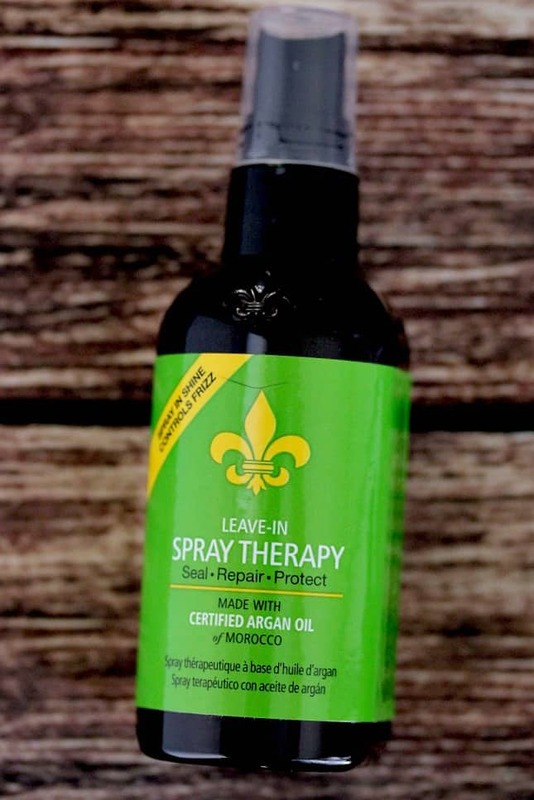 If you have any questions regarding this DermOrganic Intensive Hair Repair Masque Review, or the shine spray, feel free to leave a comment and I’ll do my best to answer you quickly! 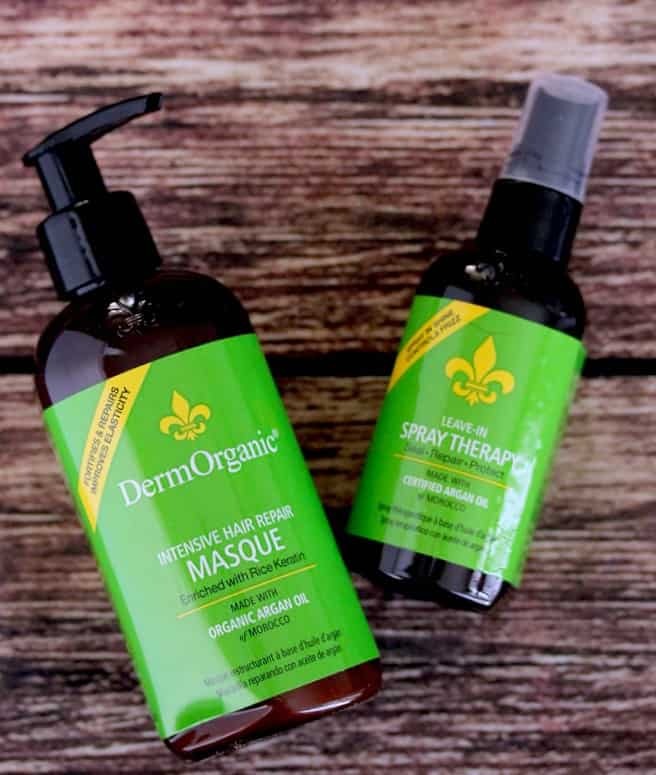 If you would like to learn more about DermOrganic be sure to check out their website where you can view all of their available products, including their skin care line!